Day by day, my Nordstrom internship gets better and better. Tuesday, I got to attend an exclusive management meeting. Then, I got the opportunity to meet Pete Nordstrom when he spoke to the interns, answered our questions, and offered his advice. One of my assistant managers, Lauren, came to the meeting as well to get a peek of the Nordstrom brother. 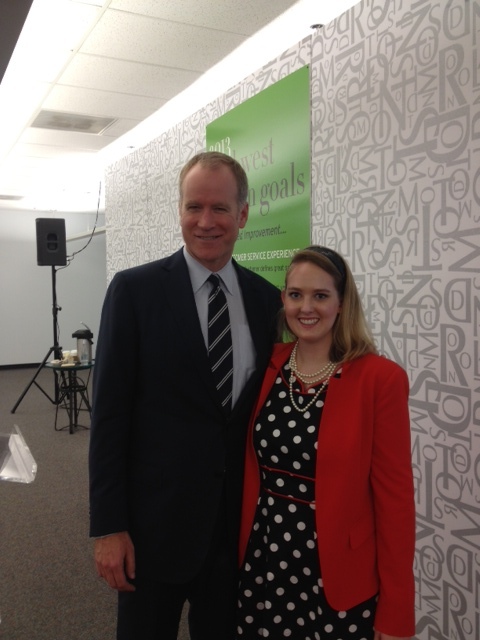 What an honor and a privilege it was to get to meet Mr. Nordstrom and take a picture with him!